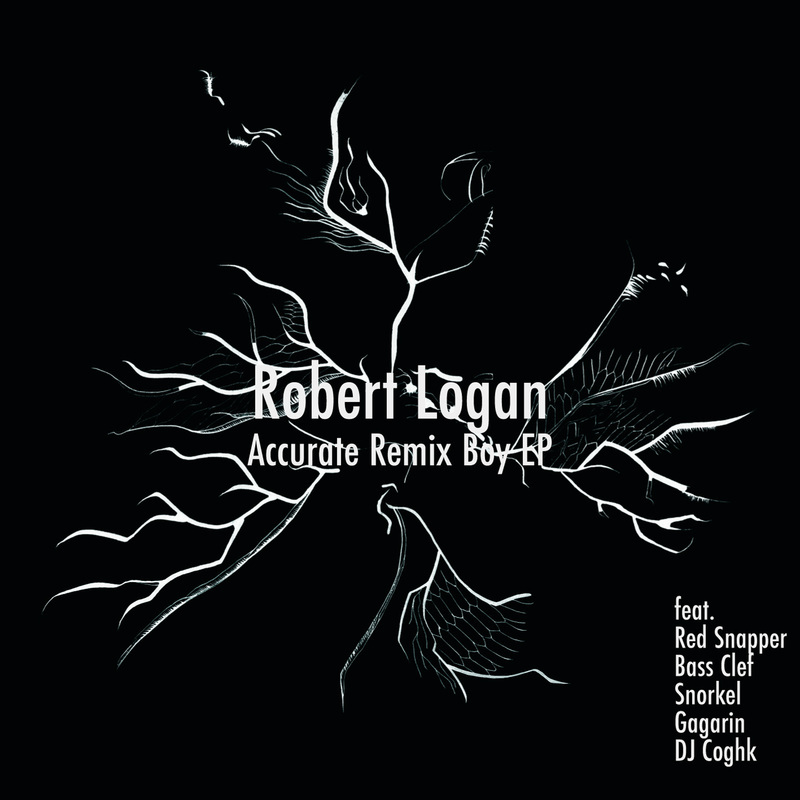 Following the release earlier in the year of his hotly anticipated sophomore album ‘Inscape’ and the accompanying Accurate Spit Boy EP/12”, Logan has enlisted some deviously talented friends to remix some of his recent material. The resulting EP is an intriguing and eclectic mix of tracks which range from the ‘play loudly on the dancefloor’ excursions of Red Snapper and Bass Clef to ‘play quietly in your own bedroom’ weirdness of DJ Coghk - and places in between. The EP also contains an original Logan track. R.S need little introduction, as purveyors of the finest in Jazz-Hip-Hop-Rock-Drum n Bass hybrids for well over a decade. Numerous releases to their name on Flaw, Warp and more recently Lo recordings, the latest an Ep of remixes of their album ‘A Pale Blue Dot’ [including a Logan remix]. Their mix is a heady, heavy slice of taut Electro-Funk. ‘Hackney dub master’ Bass Clef has released an album and an impressive clutch of EP’s on the Blank Tapes label, with a new album on the way. His dubstep – not dubstep concoctions have been drawing huge praise, and the unstoppable momentum of this take on A.S.B is not about to change that. Fans of “Grinder’ and his live show will enjoy being pummeled by this latest brilliant offering from Logan, who’s production skills continue to impress. Turbine is all machinic malevolence. Label mates Snorkel, described as “…the missing link between Krautrock and Lee Scratch Perry” [Rock A Rolla], take time out from recording a new album to navigate the depths of Logan’s Inscape with a brooding dub-charge. Gagarin has been making music on the edges of the musical galaxy for many years in many guises [Pere Ubu, John Cale, Nico]. His recent album ‘Adaptogen’ [Geo] is a beautiful work of languid, sinuous, melodic electronica to which this remix is a fine addition. Logan’s distant Hungarian cousin, Coghk demanded the inclusion of his strange reworking, to prevent him divulging family secrets….